This article will give you getting started experience with RadChat. By default, when you enter some input in the text box and press the Enter key to confirm the message, it is automatically added to RadChat. This is controlled by the RadChat.AutoAddUserMessages property which default value is true. Once a message is confirmed either by pressing the Enter key or by clicking the arrow sign, the RadChat.SendMessage event is fired. If the RadChat.AutoAddUserMessages property is set to false the message from the text box won't be automatically added to the messages' view. 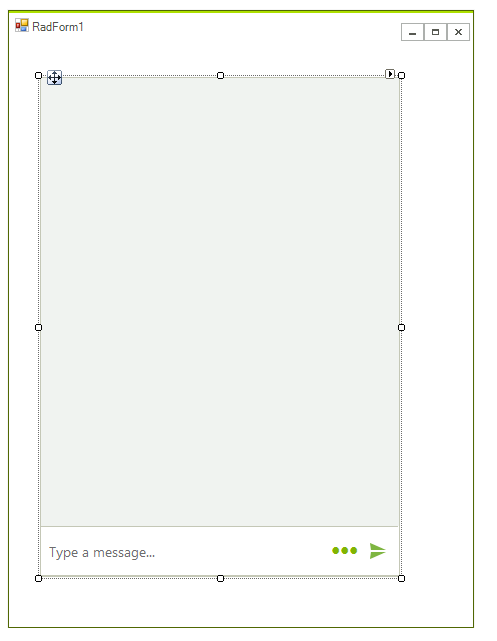 In the SendMessage event you can add the message programmatically.